...but don't want the hassle of a public election? Here's your shot (that is, assuming you live in the Fourth Ward). The City of Eureka is now accepting applications to fill Frank Jager's Fourth Ward seat, which he's leaving to become mayor. Through the city's rather unorthodox electoral process, that means Jager gets to name his replacement -- subject to council approval. Many criticize our public officials; few have the moxie it takes to become one. Now's a good time to throw your hat in the ring, Fourth Warders. 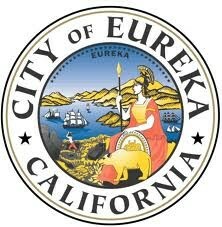 Applications are being accepted by the Eureka Mayor's office for appointment to fill a vacancy on the Eureka City Council, in the Fourth Ward, for a term ending November 6, 2012. All applicants must be residents and registered voters within the Fourth Ward of the City of Eureka. Applications are available at the City Clerk's office, 531 "K" Street, Room 208, Eureka. For more information, please call 441-4175.